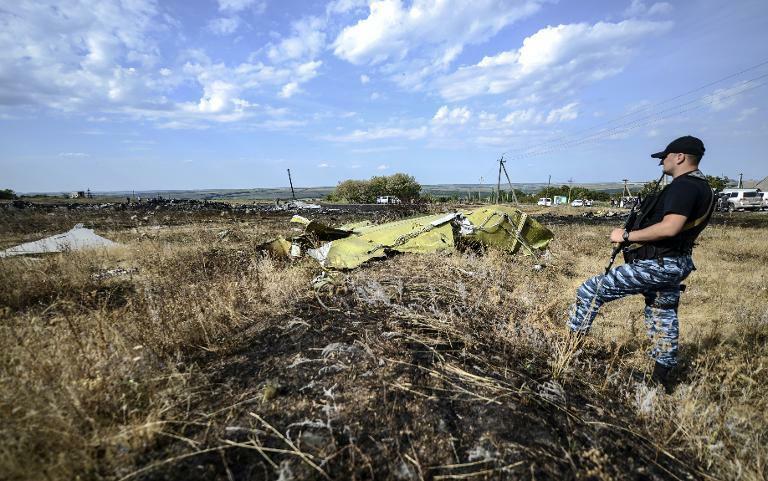 Ukraine's army on Monday seized control of part of the vast site where Malaysian airliner MH17 crashed, insurgents said, as the United Nations announced the downing of the plane could constitute a war crime. "I would love to give a guarantee that all the remains will come back, and all possessions, but... I believe the chances are not very good that we will get it all," Dutch police chief Gerard Bouman told parliament in The Hague. UN High Commissioner for Human Rights Navi Pillay condemned the "horrendous shooting down" of the Malaysian passenger jet in what was then rebel-held territory on July 17, and demanded a "thorough, effective, independent and impartial investigation". "This violation of international law, given the prevailing circumstances, may amount to a war crime," she said. The Red Cross has said Ukraine is now in civil war -- a classification that would make parties in the conflict liable to prosecution for war crimes. Data from the plane's black boxes analysed as a part of a Dutch-led probe showed that the crash was caused by shrapnel from a rocket explosion, Kiev said. An AFP reporter in Shakhtarsk said artillery fire could be heard in the town and plumes of black smoke billowed into the sky, while a car was seen driving away with the sign "children" written in red on its front and back. A couple was also seen leaving the town on foot with a young boy, as the woman shouted: "Let's go! Let's go!" Andriy Lysenko, Ukraine's military spokesman, claimed that troops were not carrying out any fighting but that "we would occupy (the crash site) once the rebels withdraw". 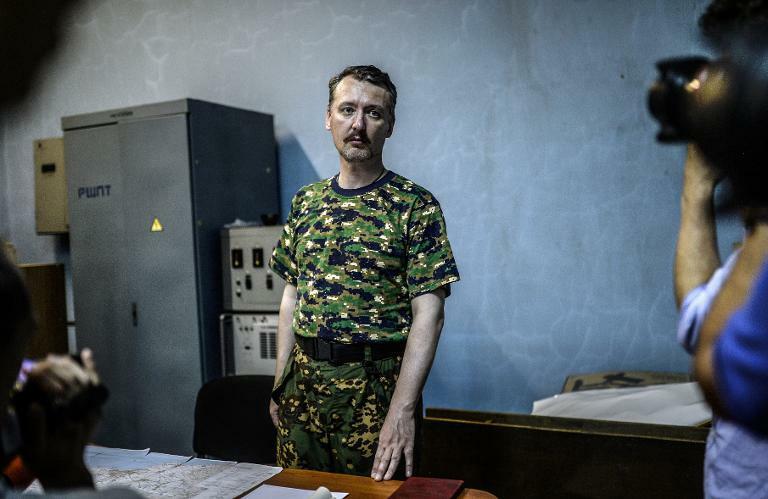 The top rebel military commander of the self-proclaimed "Donetsk People's Republic", Igor Strelkov, told a press conference: "We are planning to restore the connection between Shakhtarsk and Torez this evening. Our fighters are there now on the attack." The escalating fighting has led authorities in The Netherlands -- which lost 193 citizens in the crash -- to conclude that it was unrealistic to send an armed mission to secure the site as troops risked getting dragged into the conflict. Both sides in Ukraine's war have traded blame over who is responsible for the chaos around the site, with Kiev accusing the rebels of "destroying evidence" and the insurgents saying army shelling was devastating parts of the site where the plane wreckage is located. Washington released new photographs to bolster its claim that Russia was now taking a direct role in the conflict by firing into Ukraine, targeting the armed forces. Meanwhile, Russia said international monitors would visit its side of the volatile border over the next few days after accusing the United States of "hindering" their work on the ground. Farther away from the MH17 site, fighting continued as Kiev pressed on with its offensive to retake the industrial east. Local authorities said three civilians were killed and five injured in Donetsk, a city of one million, which has been serving as a base for international monitors and journalists who are travelling regularly to the crash site some 60 kilometres away. 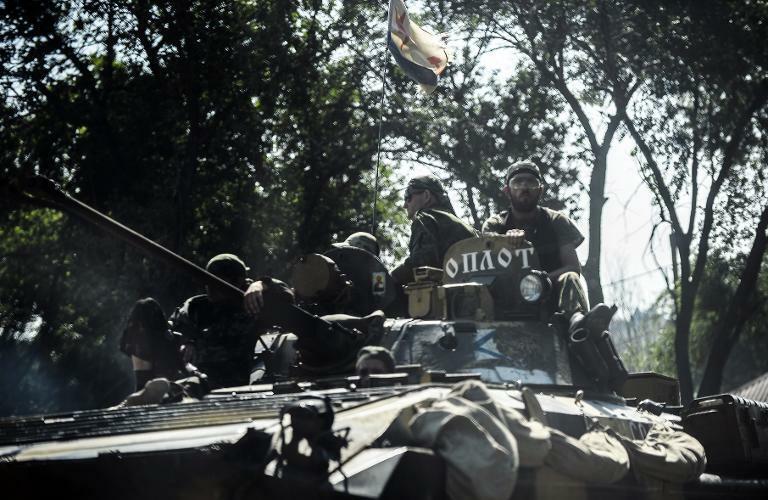 The military said it is also massing troops around key rebel base Gorlivka, 45 kilometres north of Donetsk, "in preparation for liberating it", a day after fighting there claimed 13 lives. Local authorities in the second main rebel city of Lugansk said that five civilians were killed and 15 injured due to "constant firing" over the past 24 hours. Amid the fighting, Pillay warned that both sides were "employing heavy weaponry in built-up areas, including artillery, tanks, rockets and missiles". "Both sides must take great care to prevent more civilians from being killed or injured," the UN high commissioner said, sounding the warning even as Kiev claimed that rebels on Monday fired unguided Grad rockets at residential buildings in Shakhtarsk.